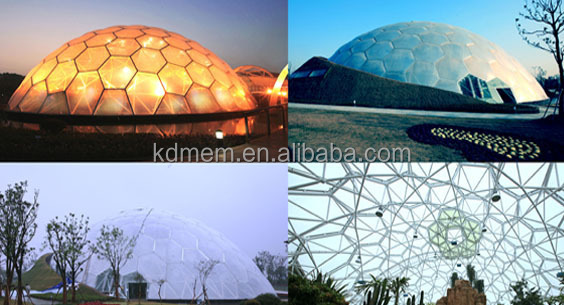 1,Energy conservation: It is because of the features of heat resistance and light transmittance of the lining. 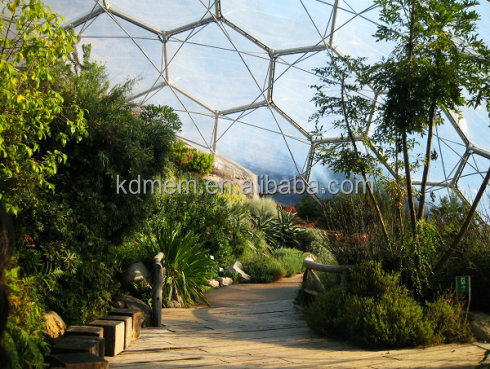 2,Environment protection: It avoids to using massive traditional materials such as steels, bricks and stones, and reduces the secondary pollution. 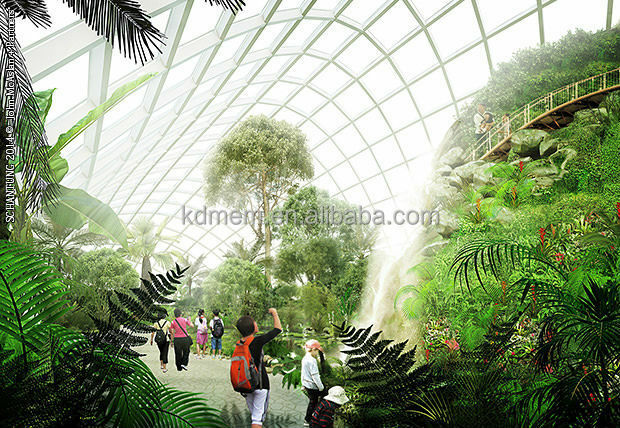 The membrane structure only needs to be stretched and fixed, so the installation is very fast. It also reduce the pollution in construction site. 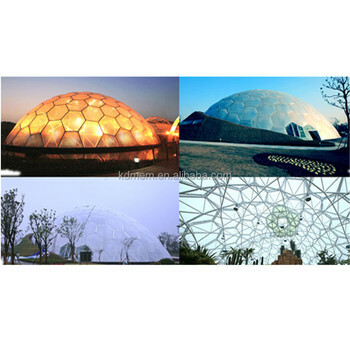 3,Ecological benefit: After ultraviolet rays filtered by membrane and lining, the lighting into room becomes diffusion light which is good for the growth of vegetation.